Don't think that the children never suffer from the sinusitis. Don’t think that the children never suffer from the sinusitis. Fever, snuffling and cough in the night are the cycle. Fever may occur or not, but snuffling occurs often. Sometimes, children must breathe through month on sleeping because the children may have stuffed nose and could not breathe comfortably. This symptom may not belong to the common influenza, but it indicates that your children may suffer from the sinusitis. Young children may get cold more often than the adult. Averagely, children get cold from virus 6-8 times per year, and 10 percent of these children have the complication as the sinusitis from bacteria. Sinus is the air cavity in the skull and found at the end of the eyebrow, nose end and cheekbone. The normal duties of the sinus are unknown, but it may lighten the skull and cause the roar, mucosal and immune for the nasal cavity. Normally, the sinus mucosal runs into the nasal cavity through the small cavity (Ostium) beside the nose for protection against the disease and removes the foreign body from the nose to the throat or through the nose. How does the sinusitis occur? When the nasal cavity becomes swollen i.e. at time of getting cold or at time of rhinitis from the allergy or foreign body in the nose, the connection between the sinus and nasal cavity is blocked and mucosal is caused in the sinus cavity, and when the disease from nose enters into the sinus cavity, it is divided and causes the infection of sinus cavity and pus, and the nose becomes swollen. It is called “Sinusitis”. The symptoms of the sinusitis in children and adults may be different. The adult may have fever, headache and weakness more than the children, who do usually not show those symptoms. When the Ostia between the sinus and nasal cavities are opened occasionally, the pus and mucosal from the sinus cavity shall run into the nose and throat and cause the symptoms in the children. The nasal mucus may be green, yellow or white mucus. Cough: When the mucus or pus runs into the throat, it causes the cough, especially on sleeping in the night. Treatment of the swollen nasal cavity to remove the whole pus in the sinus cavity by cleaning the nose with saline water and using the nose spray. Avoid the stimulant. A certain number of sinusitis patients (maybe 50 percent) may suffer the sinusitis due to the nose allergy causing the swollen nose and infection. Such patient should avoid the allergen from dust, cigarette smoke, infection from the surroundings, being in the crowded area, swimming in the swimming pool not meeting the standard etc. based on the medical instructions. Sinusitis is frequently found both in children and adults and may cause the annoyance against the mother and children suffering from the sickness. Sinusitis is not awful. 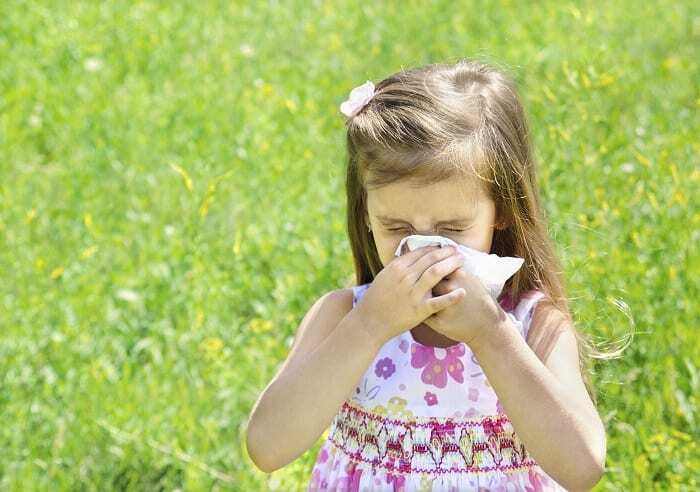 If the parents have correct understanding, they could protect their young children from the sinusitis. Don't think that the children never suffer from the sinusitis. when the disease from nose enters into the sinus cavity, it is divided and causes the infection of sinus cavity and pus, and the nose becomes swollen. It is called “Sinusitis”.